Every March, over 1,500 high school students from all over the world travel to Berkeley to participate in the Berkeley Model United Nations conference. On March 3, 11 students from Journeys School and the Jackson Hole Community School traveled to the University of Berkeley in California for the 64th annual Berkeley Model United Nations conference. 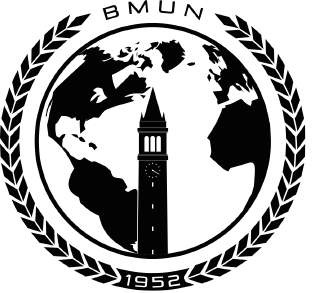 Berkeley Model United Nations (BMUN) is a student-run organization on the UC Berkeley campus dedicated to continuing its six decades of excellence as the world’s premier, and very first, United Nations simulation. BMUN’s mission is to spread awareness of international issues and the spirit of diplomacy. The conference also aims to create an educational experience for high school students to help them realize their potential in public speaking as well as policy debate. In the context of our mission to promote student learning and action about critical global issues, InterConnections 21 has made participation in national Model United Nations (MUN) conferences one of our signature programs. Ongoing mentoring of high school students, who are motivated and passionate about global issues and keen to develop their leadership skills, is a high priority for IC 21. MUN conferences simulate various bodies and agencies of the United Nations. Students from around the state, country, and world get together at such conferences to play the roles of delegates from different countries, assigned to them by the conference organizers. MUN involves dynamic debate, public speaking, research, teamwork, leadership, and critical thinking about important global issues. At the Berkeley MUN conference, students spent three days in committee sessions, where they upheld their assigned countries’ positions on pre-assigned topics. Prior to the conference, each student submitted a paper that framed their country’s stance on the assigned topics in an effort to win an award for academic research. Leading up to the conference, IC 21 hosted weekend training sessions for all participants, wherein they honed their skills at using parliamentary procedure, swapped research tips, and sought guidance on their papers. In addition to a very busy conference schedule, students took a UC Berkeley campus tour and went on a double-decker bus tour of San Francisco!